Cataract Definition:What Are Cataracts & What are the Common Symptoms? The Cataract definition from Merriam-Webster defines cataracts as:"a clouding of the lens of the eye or of its surrounding transparent membrane that obstructs the passage of light." A cataract is when the lens of the eye becomes foggy. The lens is made up mostly of water and protein. There is no blood supply to the lens. Cataracts develop when the proteins are damaged and they become translucent or opaque. The lens sits behind the iris. Light passes through this clear part of the eye and then focuses light or an image onto the retina in the back of the eye. Once it reaches the retina, light is changed into nerve signals that are sent to the brain. The lens must be clear for the retina to receive a sharp image. If the lens is cloudy from a cataract, the image you see will be blurred. Most often cataracts will grow larger and cause more clouding of the lens. The lens is also responsible for adjusting the eye's focus so we can see things clearly whether they are up close or far away. The ability of the lens to focus diminishes as the lens hardens. Cataract types are categorized by where the cataract is located, when it developed and by the cause of the cataract. A person can have more than one type of cataract and each type affects our vision differently. Types of cataracts generally fall into these 4 categories. The nucleus of the lens is at the center. When a cataract forms in the center of the lens it is a nuclear cataract. When a cataract forms in the membrane that surrounds the lens, the capsule, it is a subcapsular cataract. This cataract forms on the outer edge of the lens, called the cortex, and as it grows, it goes toward the center. Each of these types of cataracts affects vision in a different way. A patient may have more than one type of cataract at the same time. A congenital cataract means it was there at birth. They don't always cause a vision problem. Most of the time a congenital cataract is from an undetermined cause, but sometimes it is just one of many symptoms that are associated with a syndrome. It is important that the vision of the child be assessed to see if treatment is needed. When an infant experiences a severe loss of vision their development in many other areas can be delayed and greatly affected. Traumatic cataracts occur after there has been some type of trauma to the eye. It can result from a blunt force, a foreign object, radiation, chemicals or an electrical current. The cataract may form right away or not for years. A secondary cataract forms after some other type of eye surgery, or as a result of another health condition, like diabetes. Some patients will develop a secondary cataract after their initial cataract surgery. This happens when the capsule that holds the artificial lens in place becomes cloudy. 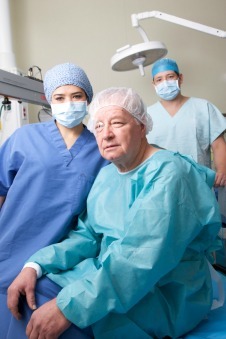 It can happen weeks or years later after the cataract surgery. The symptoms are like that of other cataract types - clear vision becomes cloudy, hazy or blurry. Many people with age related macular degeneration also have developed cataracts. It's really not so surprising since both eye conditions are most frequently seen in the senior population. As we age different factors cause the lens to become foggy, hard and dense. Cataract causes can be some of the same ones you will find for age related macular degeneration such as aging, smoking and free radical damage. The eye is subject to lots of oxidation and free radical damage just because of all the light that enters the eye. One thing both of these eye conditions have in common is oxidation. Oxidation is the result of excess free radicals bringing harm or damage to the cells. 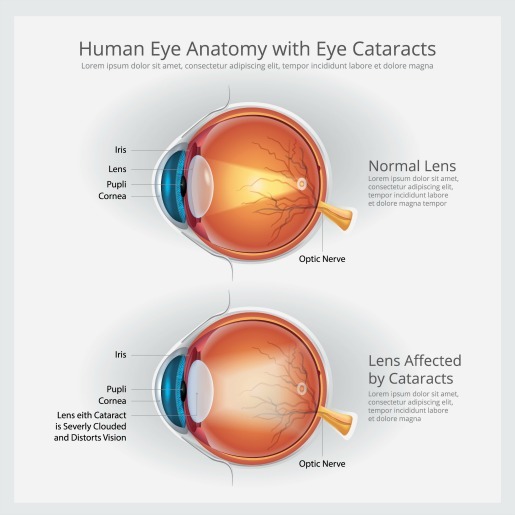 Cataracts form as a result of oxidation and free radical damage to the lens. Free radicals can harm our cell walls and cell DNA. The lens absorbs UV light. They eyes are exposed to more oxidation than most other parts of the body, because of it's exposure to ultraviolet and blue light. Anti-oxidants neutralize free radicals. It is important to have a good ratio of free radicals to antioxidants so that the free radicals are disarmed. Eye cataracts become more common as we age. According to the National Eye Institute, "By age 80, more than half of all Americans either have a cataract or have had cataract surgery." 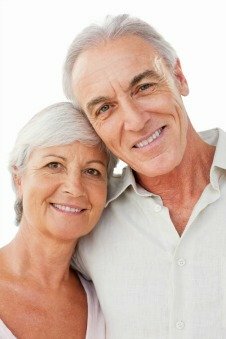 While the vast majority of cataracts are the result of just getting older, there are other reasons people can develop cataracts. An injury to the eye can lead to cataract development - but not usually right away. Health conditions like diabetes and glaucoma can hasten the development of a cloudy lens as can the heavy use of steroids or cortisone. A research paper posted in JAMA (1992 Aug 26;268(8):994-8) called A Prospective Study of Cigarette Smoking and Risk of Cataract Surgery in Women concluded that "Smoking appears to increase the risk of cataract extraction." This is not surprising since smoking increases the amount of toxins a person is exposed to as well as increasing the amount of free radicals. Eye cataracts often develop very slowly and may take years before vision is affected. When they begin to interfere with one's quality of life, that is when a discussion with your ophthalmologist is needed. Symptoms of cataracts can be similar to some of the early symptoms of macular degeneration. At first when it is small, the cloudiness affects only a small part of the lens and you may experience no symptoms. As the cataract grows, your vision will gradually get worse. Your vision may get duller or blurrier. Commonly, cataracts will affect both eyes, although one may progress faster than the other one. 2. Sensitivity to light - Sunlight, headlights and lamps may seem too bright. 3. Sensitivity to glare - A halo may appear around lights. The lens slowly colors with age. At first, you may not notice it, but gradually the increased discoloration may make it more difficult to read and to identify colors. Cataract removal surgery is the most common treatment, but cataract eye drops, lifestyle changes, nutrition and supplements may also help delay the development or progression of a clouded lens. If it on the outside of the lens, you may not notice it, but if it is in the center of the lens, you will experience blurred vision and less vivid color perception. Some cataracts remain small while others can grow quickly and cover a large portion of the lens. When your cataracts affect your vision in a way that interferes with your lifestyle it may be time to consider cataract surgery. A state of the art eye center will use only topical anesthesia and mild sedation. When a person has cataract surgery the lens of the eye will be removed and then replaced with an artificial lens, called an intraocular lens or IOL. Normally the lenses are clear, but some of the new IOLs block UV and blue light rays which can damage your retina and cause macular degeneration. 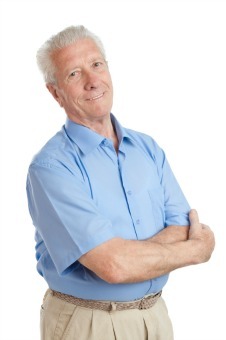 Cataract eye drops are promoted on the web as an alternative to cataract surgery. You may be wondering if their claims to reverse cataract symptoms are really true. Dr. Marc Grossman, a leading holistic eye doctor, a licensed optometrist and acupuncturist, who has been in practice for over 27 years, is one who believes that lifestyle and nutrition plays an important role in the prevention and even reversal of many eye conditions, including eye cataracts. 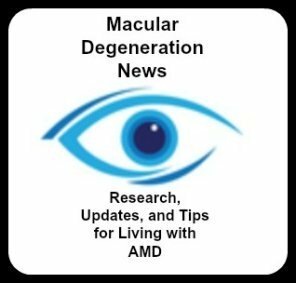 According to Dr. Lylas Mogk, author of Macular Degeneration; The Complete Guide to Saving and Maximzing Your Sight , "With very advanced cataracts ... you may also have macular degeneration without knowing it, because your doctor can't see through the cataracts to detect the AMD." 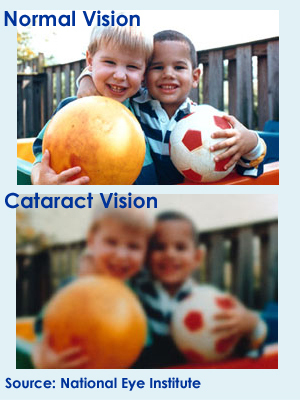 If the blurry vision is from a cataract, your vision will be clearer once the cataract is removed. But if the blurred vision is from macular degeneration, the blurred vision will still be present after the cataract surgery. The formation of cataracts and macular degeneration is the result of the oxidation process. Because these eye conditions are both age related, many older people will have both of these eye diseases.